Billy at his Los Angeles home in 1984. Apparently he didn't say goodbye to Hollywood completely. DISCLAIMER: In case you haven't noticed, this unofficial fan site is not affiliated, endorsed, or sponsored by Billy Joel, Sony Music Entertainment, or Columbia Records, Maritime Music, or any other official Billy Joel organization. 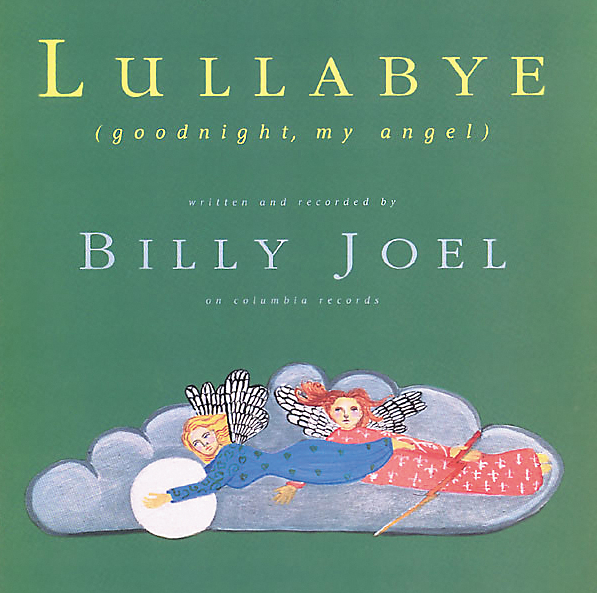 All music and lyrics by Billy Joel except as noted. CONTRIBUTE: If you enjoy this website and would like to donate something to show your appreciation and to help support and maintain it, please do. You can enter the amount below. But you don't have to do anything. The costs to maintain this site include fees for using the excellent Weebly Pro software, hosting, and nominal costs for domain name registration, not to mention the countless hours I put into this. BACKGROUND: The name of this site "One Final Serenade" is a taken from a line in Billy's song "Famous Last Words" on River of Dreams. I wanted to use "Famous Last Words" as the site name, but the domain name was already taken. I created this site (on and off for several years) so that my kids could learn about and appreciate Billy Joel's music. I remember as a kid spending hours at the turntable, listening to this music, holding the album sleeve and reading every little detail of each song, and all of the liner notes. But kids today tend not to do that. They don't buy albums, but only download individual MP3 files. They go on the Internet to learn about songs, if they do that at all. So this site was intended as a way for my kids (and others) to learn about the music of Billy Joel, hopefully love it like I do, and then pass it on to their kids one day too. OTHER NOTES: Apologies if some (many) of the external links do not work. I am working on it whenever I have free time, which is rare. In the future I hope to add Comments sections so that people can comment about particular albums or songs. DMCA Notices: For DMCA (Digital Millennium Copyright Act) claims, please use the form above. Please provide the URL website page address and other identifying information as required by the DMCA. The still photos posted on this site are either from Getty Images (www.gettyimages.com/embed) which is a great service for amateur bloggers/webbies like me, are publicity photos associated with particular albums, or are photos for which I have received permission from the photographer or his/her agent to use, even though the fair use doctrine may apply. In a few cases, I could not find or contact the source or owner of the photo, and have either noted that or given the most accurate photo credit that I could. I have tried to give proper attribution where information was available, but please contact me by using the form above if you have any issue with the photos or other content posted on this site.